Determine all real property in the deceased's estate by conducting research at the county recorder's office. Determine whether there are any liens filed against any real property. List any lien you find by noting the creditor who filed it, creditor's contact information, amount of the lien, how the debt was incurred, and all references to the court proceeding in which the debt was adjudicated. Verify the lien is valid by researching court records for adjudication of the debt. Trace the origin and history of the debt and determine as best you can that the deceased did, in fact, incur the debt. 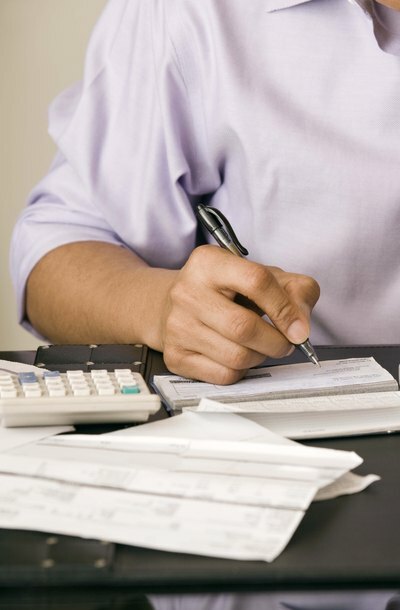 If the debt is valid, contact the creditor to verify the current amount of the debt and any payment instructions. Read the deceased's will specifically for reference to all property with liens attached. If the property was specifically bequeathed to a beneficiary, he must take the property subject to the lien. If the property was not specifically addressed in the will, the estate must pay off the lien before the estate can be settled. Notify beneficiary of property encumbered by a lien. Inform him that the property has an outstanding, valid lien. Provide details concerning the creditor and lien amount. Let him know that he must take the property subject to the lien and that it will not be paid out of estate proceeds. Inform him that once title to the property is transferred into his name, he is responsible for paying the lien or risk losing the property to satisfy the debt. Pay all expenses of the estate. Pay all debts of the estate with the exception of the lien on the bequeathed property. Re-title the lien-encumbered property into the rightful heir's name. Close the estate by filing the required final accounting with the clerk of the superior court handling probate.